July 9 1909 -- Surprising, at least to me, that there really was a bank called The All Night and Day Bank in Los Angeles. It was at the corner of Spring and Sixth, and it really was open 24 hours a day. Although the cops in this story were responding to a misunderstood riot call, less than a year later there really would be a near riot at that very same bank, when there was a panic run. USC's online digital library has a wonderful photo of the event. Unfortunately I cannot find the Hotel Hayward in the photo. This Dwig card is from the Tuck "Smiles" Series, #169. A rather odd sentiment, in my humble opinion, but what a boon for those who like freakish two-headed guy cards. 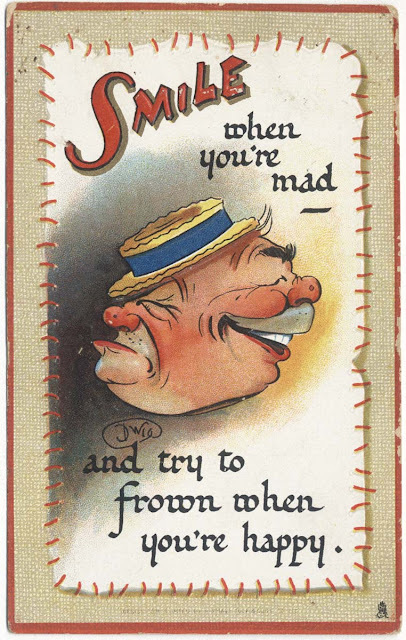 There were some delightful cards in the "Smiles" series, but this ain't one of 'em. Today we have an obscurity and a bonus enigma. 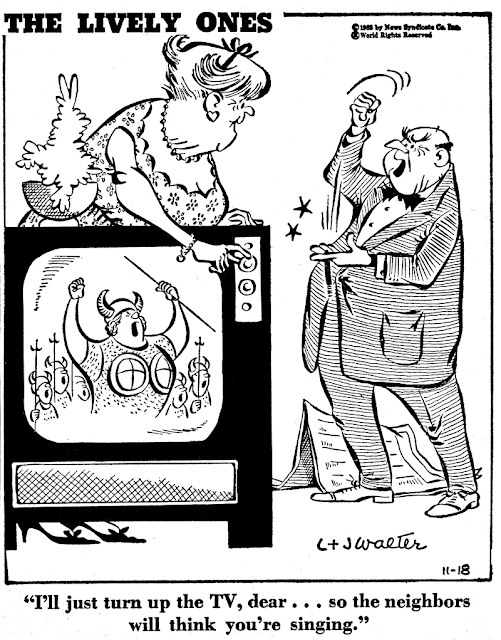 The obscurity is the comic strip Geraldine, and the enigma is its creator, Elizabeth (or Elisabeth) Brozowska. Geraldine is a finely executed pantomime strip about the wacky escapades of a pretty girl. The art style is winning, and the gags, always tough to pull off in this genre, hit the mark consistently. While you won't roll on the floor, the strips leave you smiling. Apparently Geraldine is not of American origin. 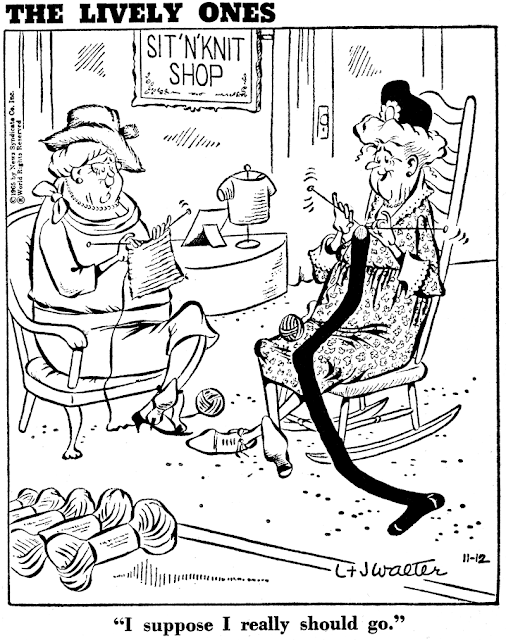 Lambiek tells us that the strip was originally titled Josephine when it was syndicated by PIB of Denmark. 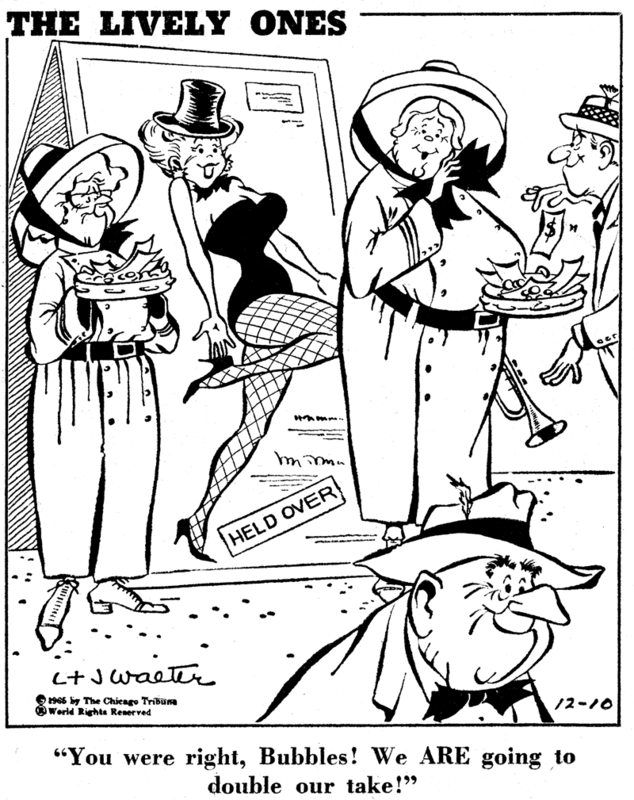 Evidently John Dille's National Newspaper Syndicate purchased the American rights, and since there was already a U.S. strip titled Josephine running here, they opted to rename the gal Geraldine. The strip originated in Denmark in 1958, and ran in the US in a small number of papers from sometime in 1961 to 1968. 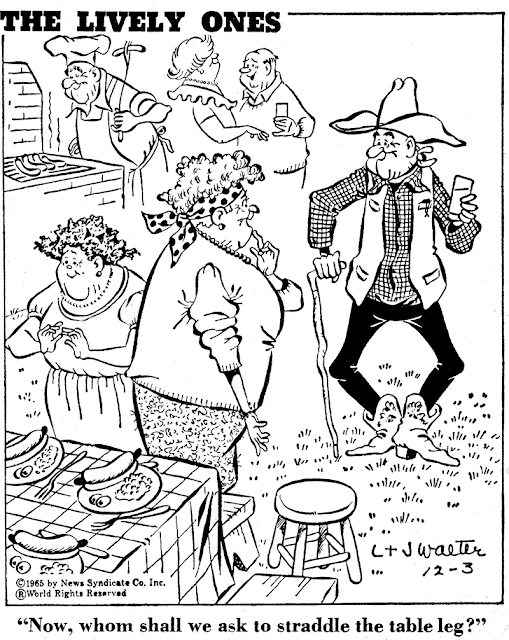 It was offered as only a three times per week strip until 1964, but then graduated to a daily. For some odd reason, the strip was advertised in the annual E&P Syndicate Directories as a thrice weekly offering even after it went daily in 1964. Most newspaper editors have little interest in features that run on non-standard schedules like this, so Geraldine's obscurity is not at all surprising, quality of the work aside. 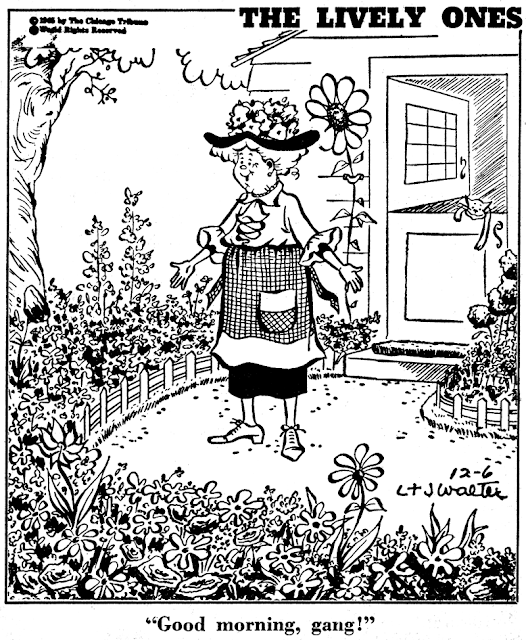 I can find no information at all about Elizabeth Brozowska, except that she illustrated several children's books. Her superb work in that genre has rightfully earned a following. Be sure to click through on this link to see Fishink's homage to Brozowska's children's book work. If you have any further information about Ms. Brozowska, or can supply definitive start and end dates for Geraldine (or Josephine, for that matter), I'd love to hear from you. 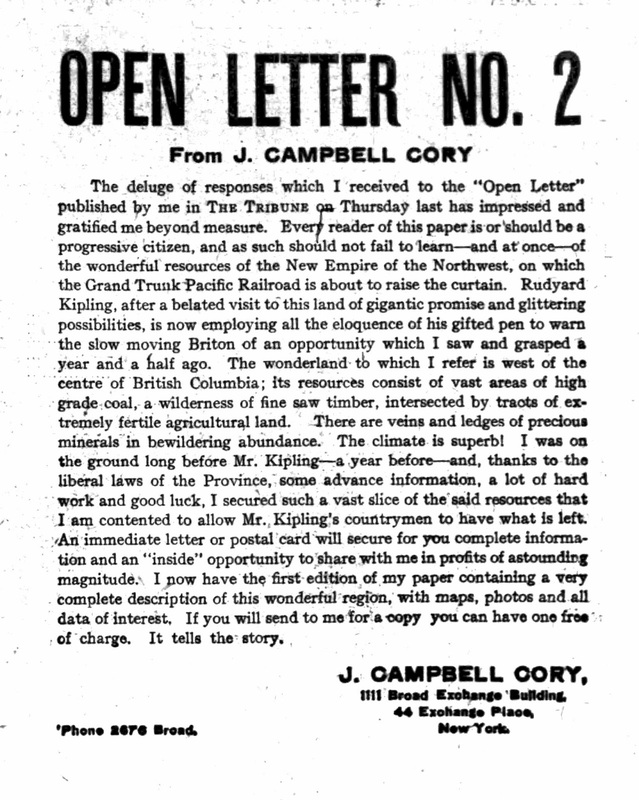 An excellent profile of John Campbell Cory is at Yesterday’s Paper which was posted September 3, 2014. For this Ink-Slinger profile I will show what I believe were some of the source material for the profile; included are some “new” information and images. Ancestry.com is a major source for census records, city directories, travel lists and military service. Birth information, occupations and addresses are usually found in such records. 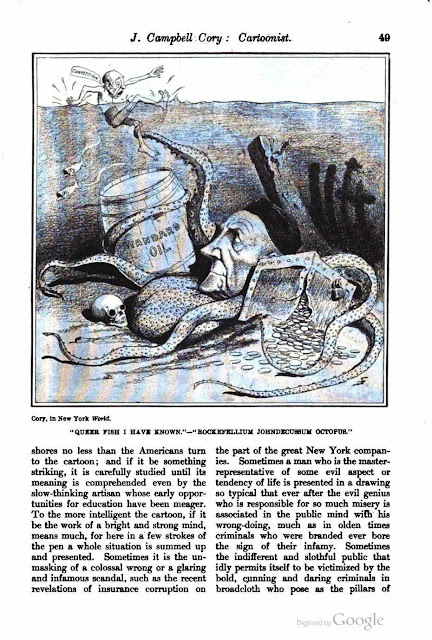 Cory was found in artist directories such as American Art Annual 1905–1906 and American Art Annual Volume 10 (1913). The Arena profiled Cory in its January 1906 issue. The article has some birth information and said Cory was a self-taught artist who was interested in horses. 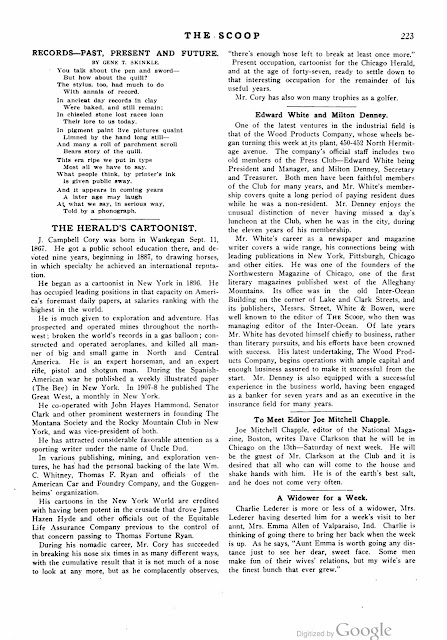 It mentions his early newspaper work and whereabouts. 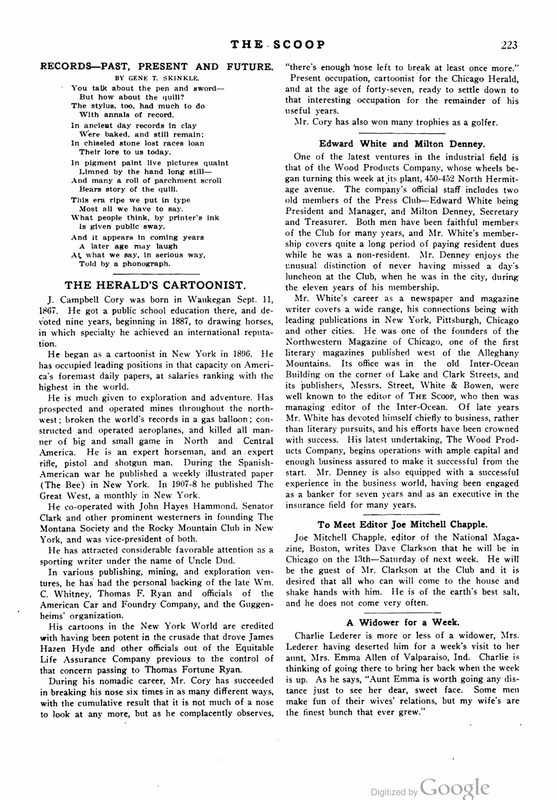 Several years later, The Scoop, March 6, 1915, profiled Cory in its article, “The Herald’s Cartoonist”, which was reprinted in Cartoons Magazine, May 1915. Cory’s interest in horses appeared in the New York Press, January 12, 1896, which published his illustrated article, “Perfection in a Horse”. 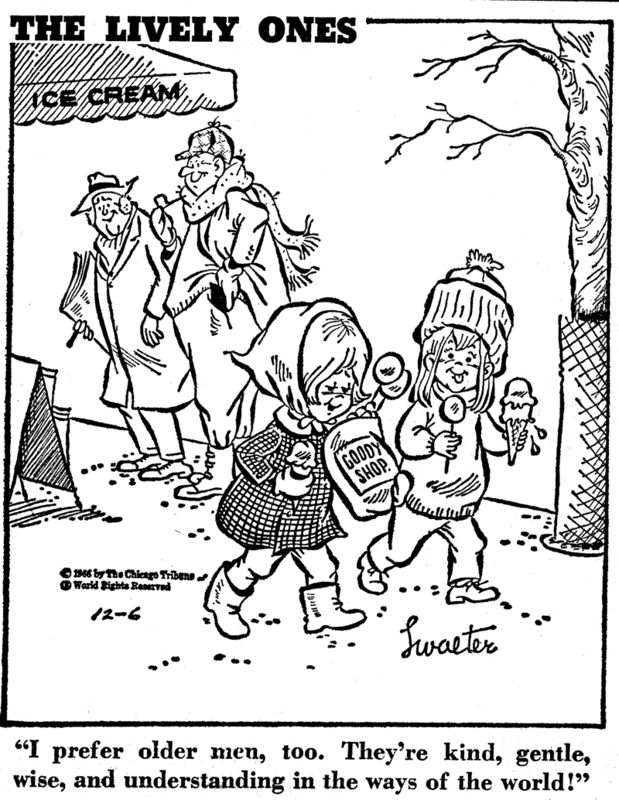 The newspaper reprinted it three days later. 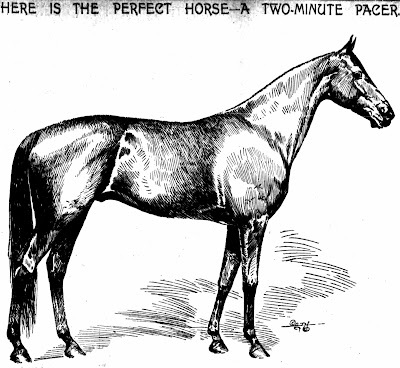 Additional information about Cory and horses was published in the New York Morning Telegraph, February 8, 1900. The article also mentioned his sister, Fanny Young Cory. 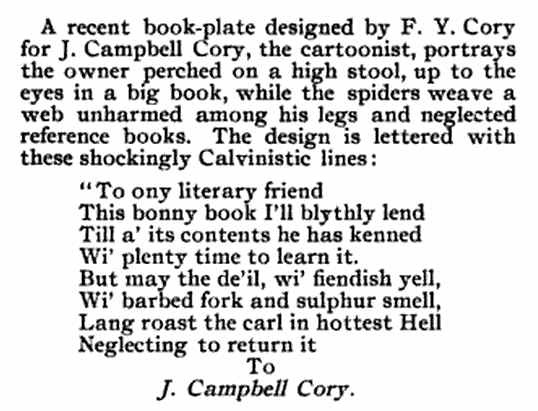 Speaking of Fanny, her book-plate for Cory was reported in The Literary Collector, May 1904. 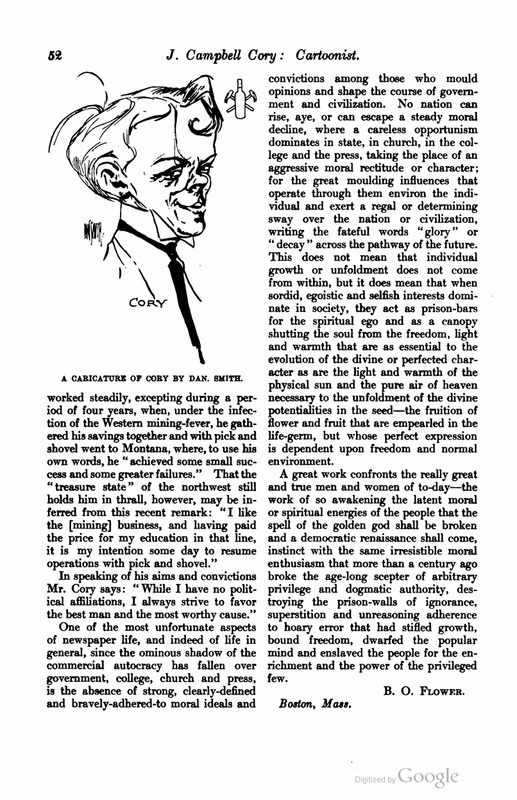 Cory’s publication, The Bee, was reported in the Fourth Estate, May 19, 1898, and The Printer & Bookmaker, June 1898. Cory produced over 400 cartoons for the New York Evening World in 1901 and from 1905 to 1907. Cory was one of a dozen cartoonists and illustrators pictured by J.S. 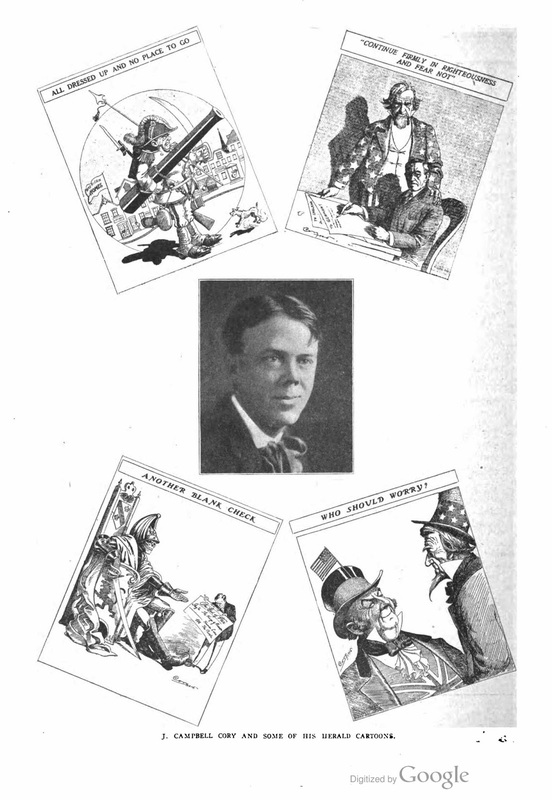 Anderson in Success Magazine, February 1906. Cory was a businessman. 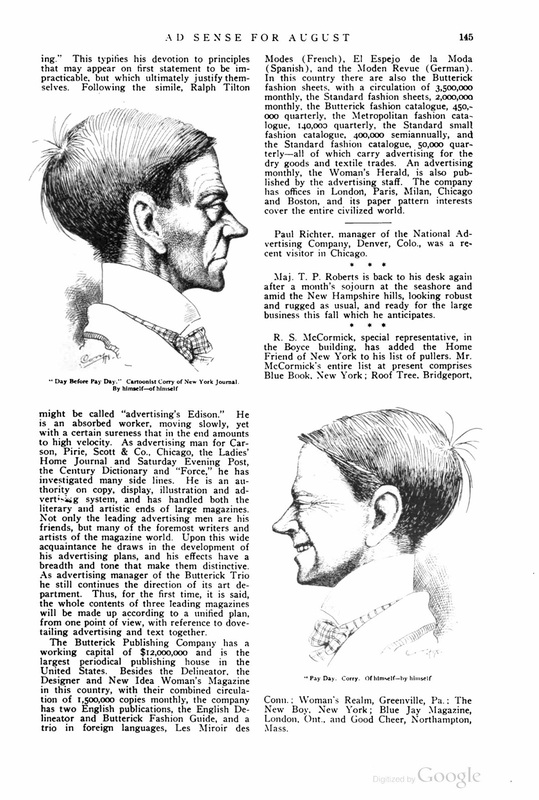 The New York Times, February 25, 1902, noted the incorporation of the New York School of Caricature. 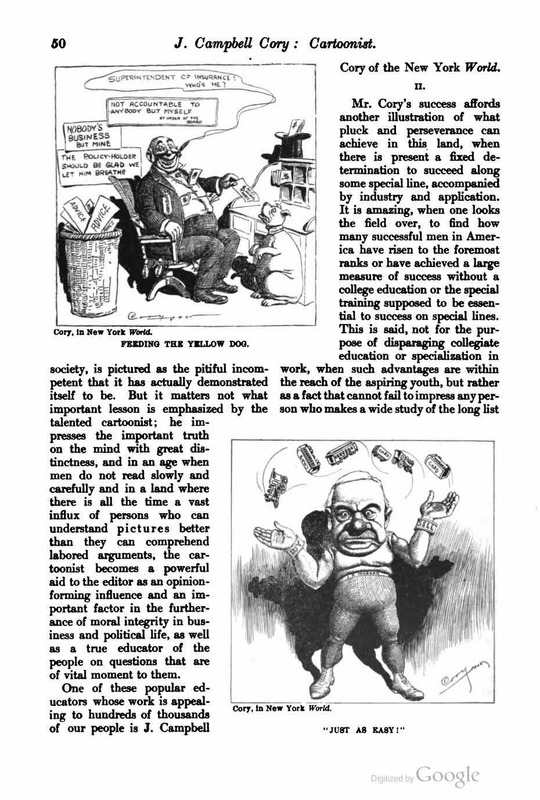 New York School of Caricature of New York; capital, $20,000. 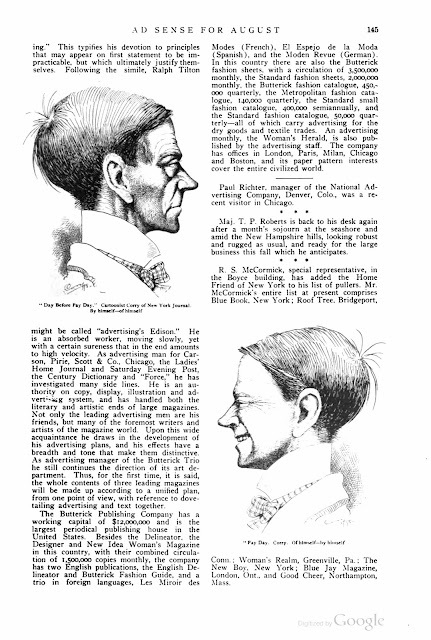 Directors—Louis Dalrymple and Campbell Cory of New York, and S. B. Griffin of Mamaroneck. 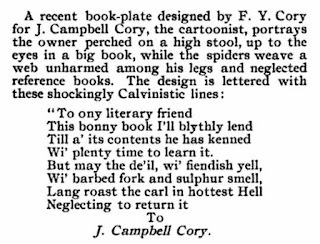 The New York Sun, June 23, 1902, published this item about Cory’s gold. 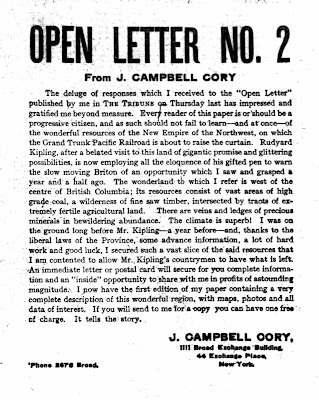 J. Campbell Cory of the Cory Brothers Mining Company has returned from New York. The force at the mine will be largely increased and shipments made. The company owns a big vein of free milling gold ore which will be developed. A number of New York people are interested in this company. In 1908 Cory published an open letter in the Chicago Tribune (below), February 5 and Golfers Magazine, March 14, where he offered to sell a portion of his land in the Pacific Northwest. 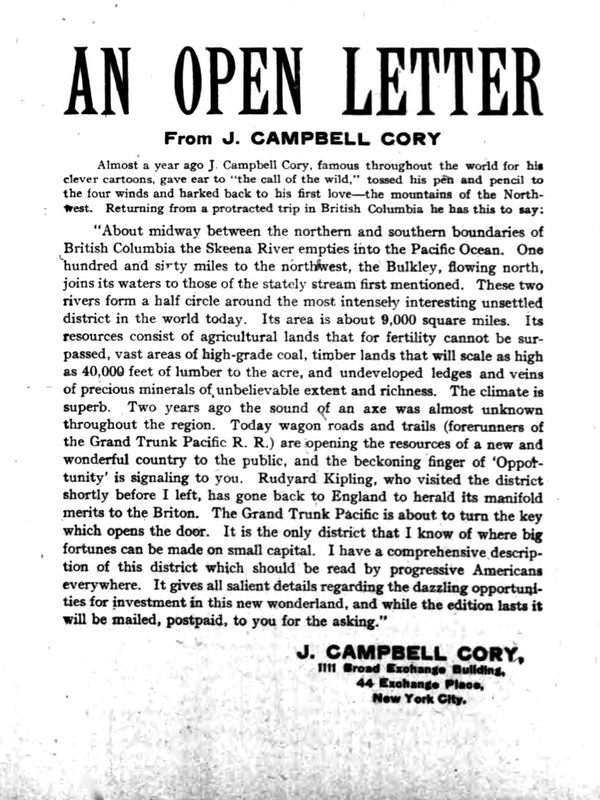 Cory’s second open letter appeared in the Chicago Tribune, February 11, 1908. It seems Cory was a bit of a thrill-seeker. 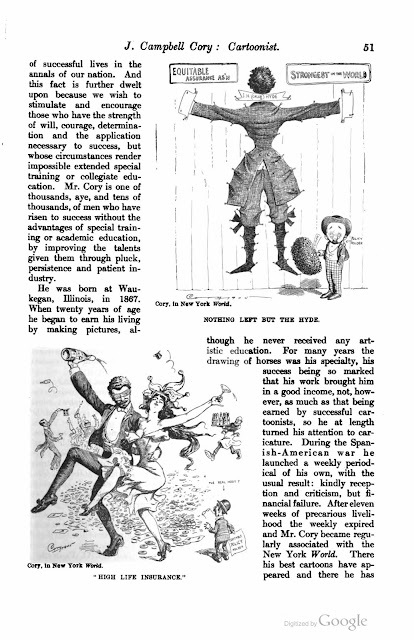 His November 1909 balloon ride in Cincinnati was described in Aeronautics, January 1910. Photographs of Cory and the balloon are in the 2009 book, Evans and Angola. 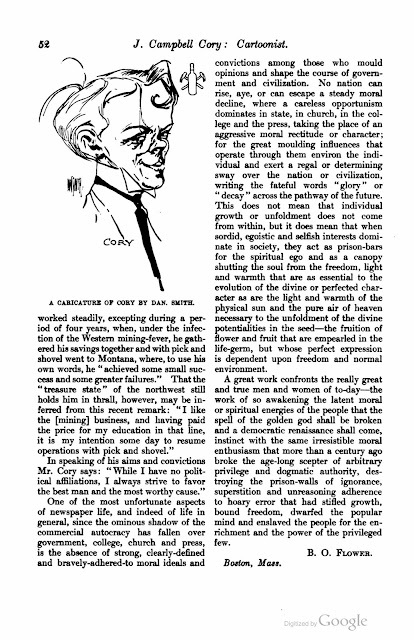 Cory’s book, The Cartoonist’s Art, was published in 1912. 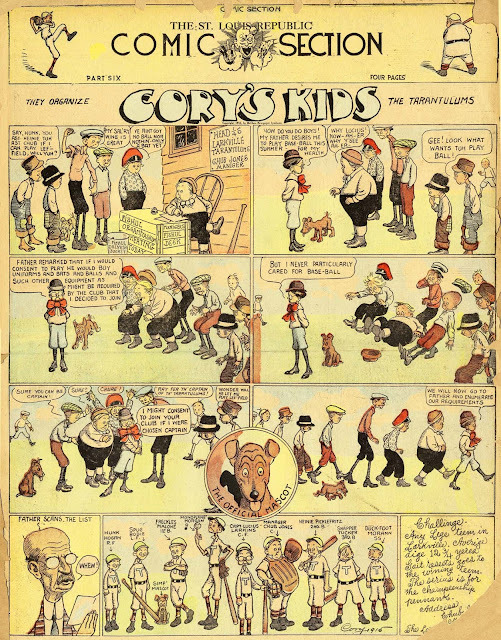 Cory’s drawings appeared in the Chicago-based publication, The Day Book in 1912 and 1913. 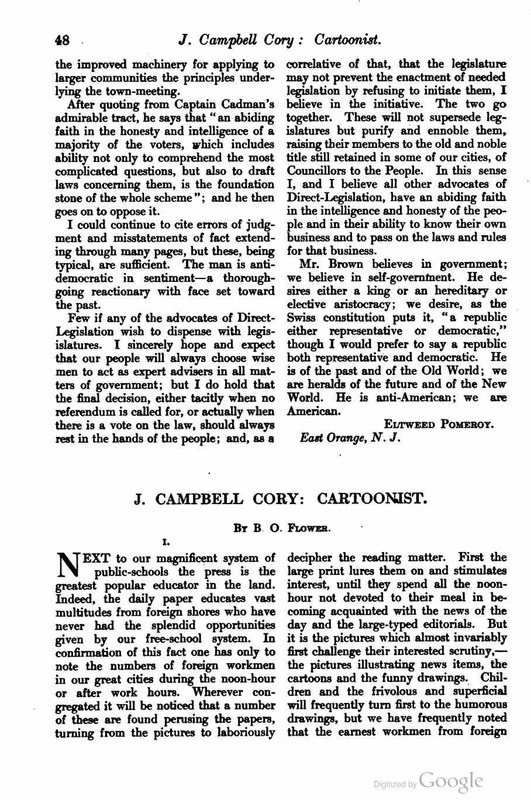 In 1913 Cory’s portraits of President Wilson’s cabinet members appeared in the Sante Fe New Mexican. 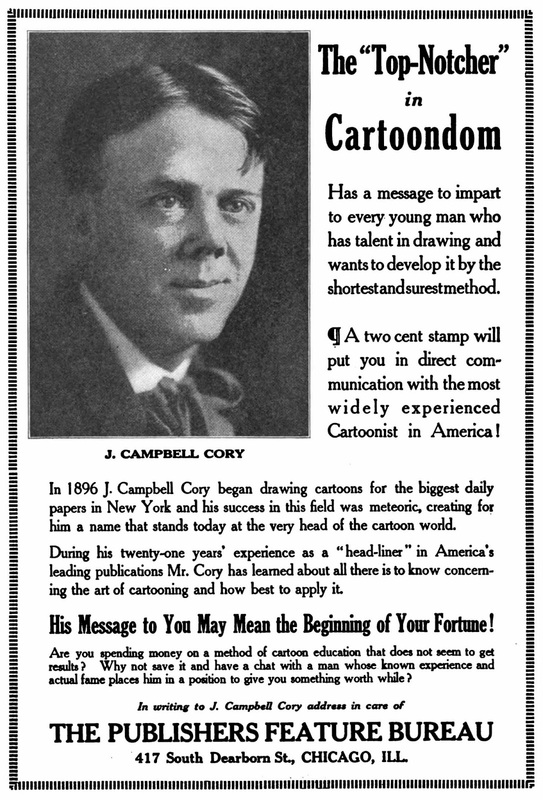 The Publishers Feature Bureau ran this advertisement in Cartoons Magazine, March 1917. 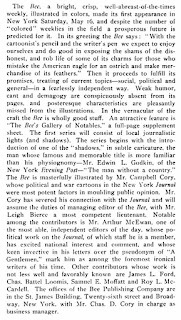 News of Cory’s passing in 1925 appeared in numerous publications. Cory was laid to rest in Millburn Cemetery. 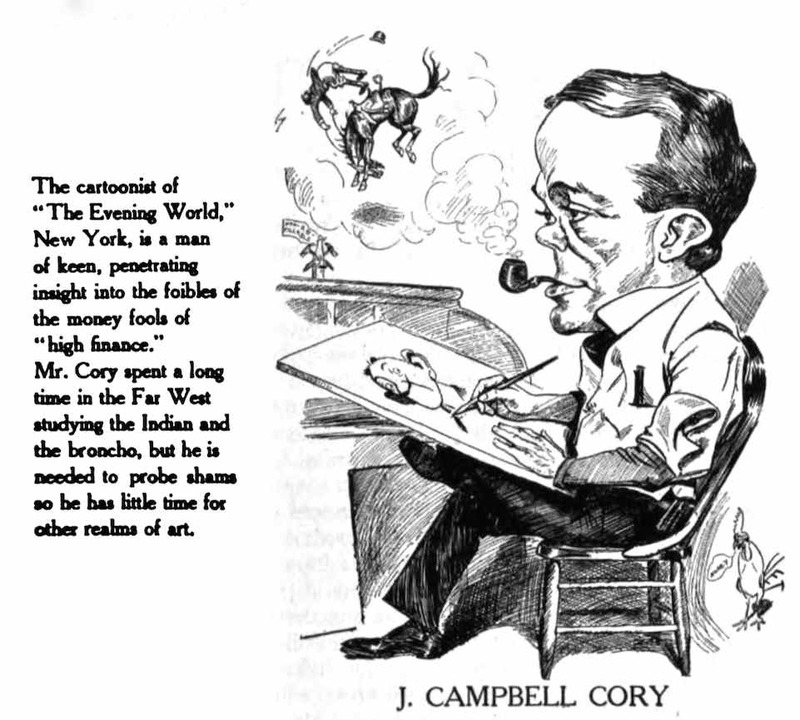 J. Campbell Cory is one of those cartoonists who needed to write an autobiography but didn't. 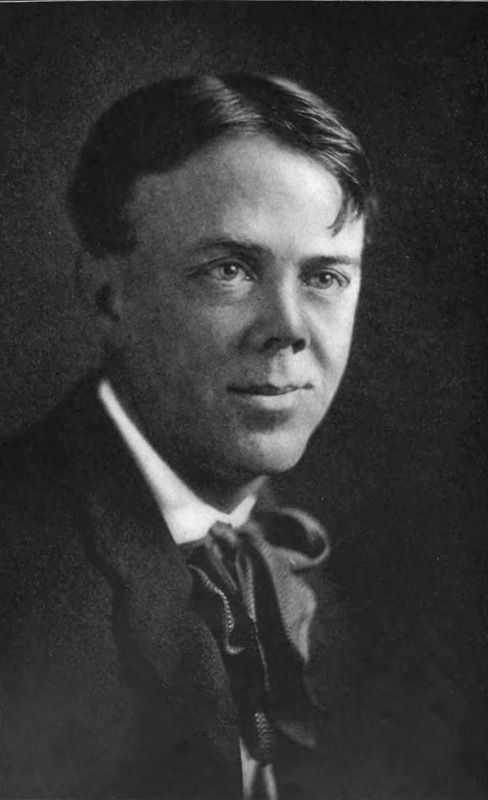 He worked for about a dozen major newspaper publishers in New York, Chicago and elsewhere, ran his own art school and started at least one syndicate and two magazines. When not chained to the drawing board, he went on adventures in the American and Canadian West and in Central America. Yesterday's Papers offers much more detail about this fascinating fellow. 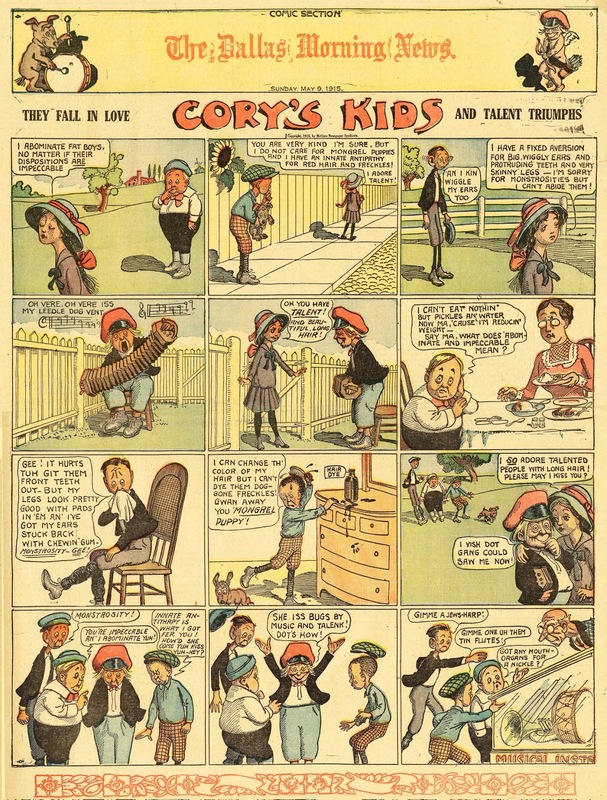 Cory dabbled in comic strips several times in his career, but his last signed series* is Cory's Kids, which he produced under contract to the McClure Syndicate for a one-year stint. 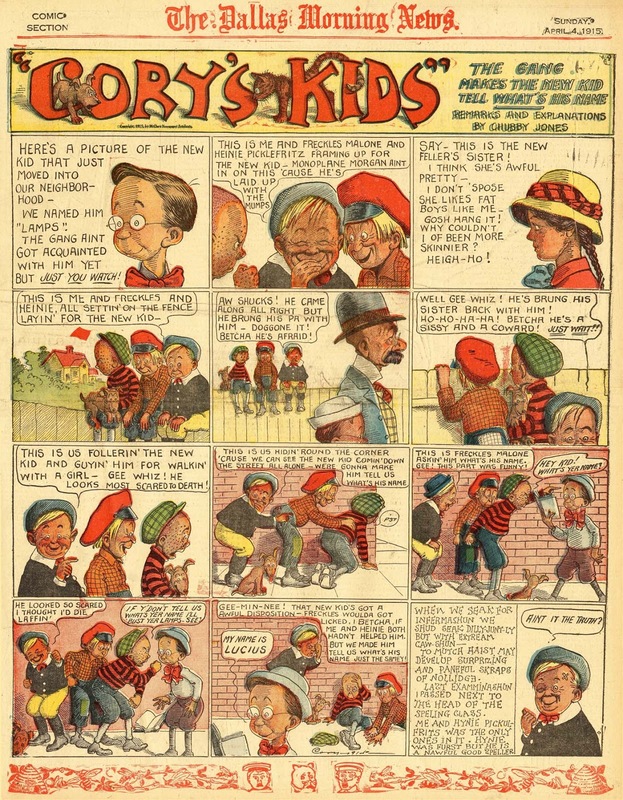 The kid gang strip headlined the section from March 21 1915 to February 6 1916. I'm sure Cory's services did not come cheap, so this might be viewed as one of the McClure Syndicate's last attempts to claw themselves back to offering a really impressive comics section. Progress being what it is, though, the ready-print business model used by McClure was slowly but surely on its way out, and not even the star-power of Mr. Cory was going to turn back the clock. Thanks to Cole Johnson for the scanned strips. * John Adcock claims that Cory ghosted the Katzenjammer Kids daily strip for a couple months in December 1917 to January 1918. 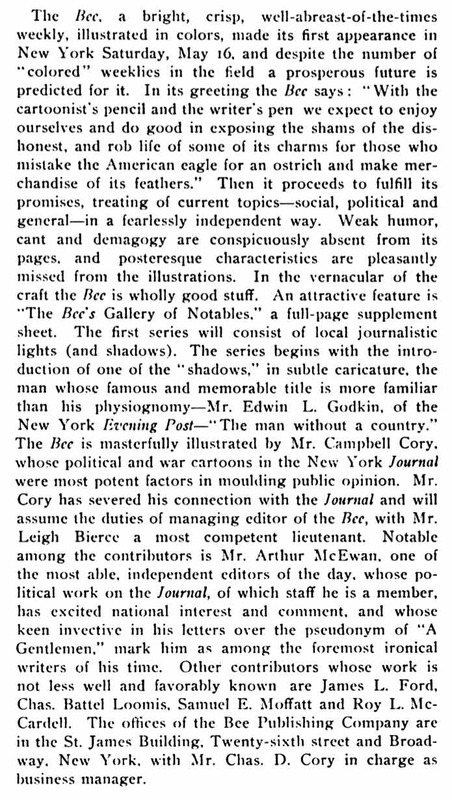 It's an upscale version of the Hearst daily "On Our Block", which became a Sunday later in 1916, maybe after seeing Cory's strip.